This sleek 3-piece sword set will certainly please any serious collector or sword enthusiast. 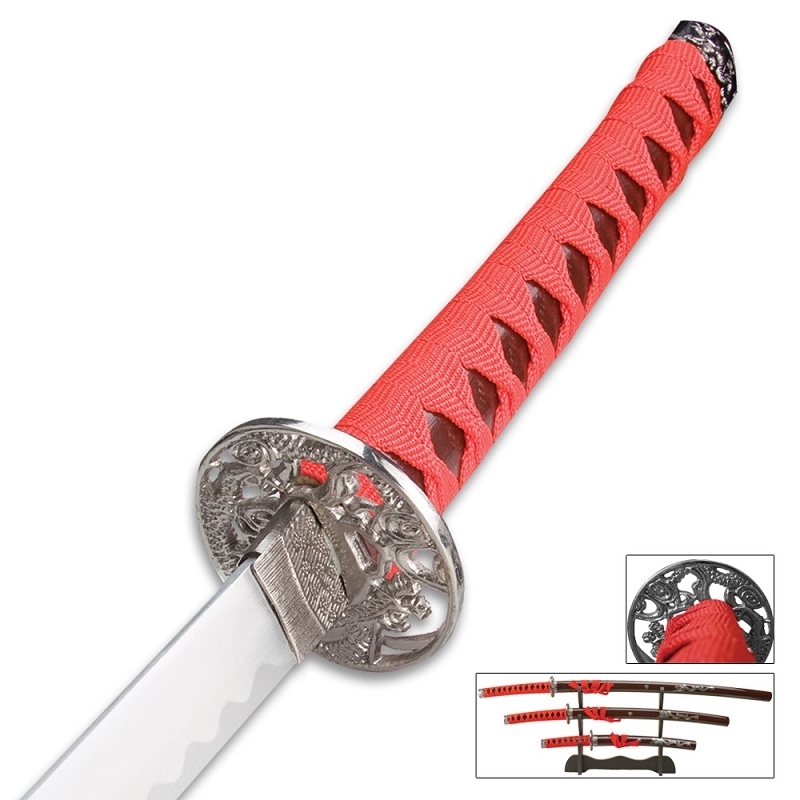 Each sword is equipped with a carbon steel blade, maroon handles that are red nylon-cord-wrapped and accented with antiqued metal tsubas and pommels. The maroon wood sheaths are adorned with red nylon cord wrapping and antiqued furnishings. The set features three swords that measure 36 1/2" overall and have 25 5/8" blades. This set includes a black wood display stand.